A new form of citizen participation arises in Barcelona, combining participatory budgets and crowdfunding. 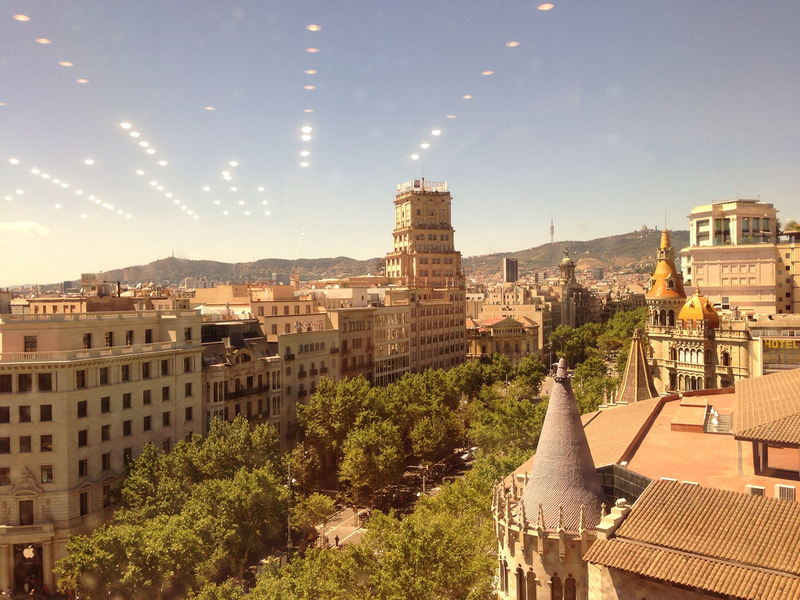 It is a co-responsibility model called Matchfunding and it allowes citizens to start and support initiatives for the improvement of Barcelona by connecting participation and democracy with public budgets. 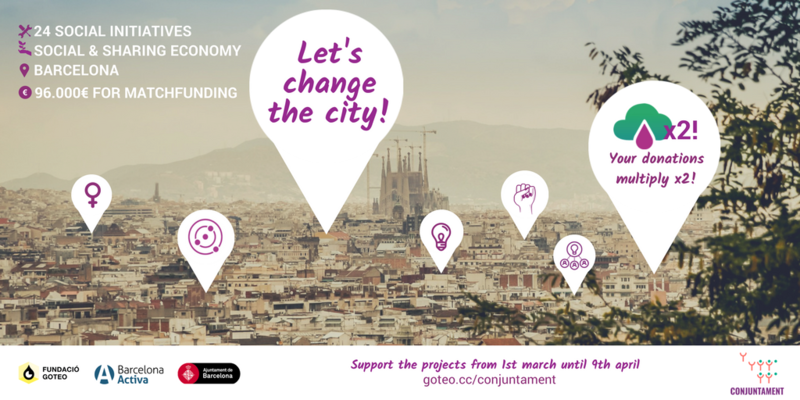 The Goteo Foundation (www.goteo.org), in collaboration with the Barcelona City Council and Barcelona Activa, launches the call “Conjuntament” A matchfunding pool of 96.000€ are available to multiply citizens donations made to the 24 social initiatives. Every € donated by the citizens will be duplicated by the Goteo Foundation. The 24 social initiatives want to change Barcelona and its neighborhoods through a lot of projects which are economically sustainable and related to sectors as agro-ecology, feminism, technological sovereignty, cooperative housing, labor inclusion, documentary production, the commons, the economy of cares and the sharing & social economy. Legitimacy: Public institutions legitimize their budgets while allowing citizens to decide and prioritize how public money is used. Creating a space for participation where citizenship promotes and supports initiatives coming from below. Participation: Citizens decide to launch projects and to choose which projects to support. Sustainability: Projects come from neighborhoods and organized citizenship, in opposition to top-down policies. Communities are behind these projects and they want to make them alive. Transparency: Citizens audit the whole process, as they can check and visualize instantly how the money is used. Success: The success rate rises until more than 90%, when a public institution multiplicate the donations made to the crowdfunding campaigns. Learning lab: While they are in campaign, projects learn as they work collectively, making the project stronger and growing their network. The call for projects was open from October 23th to December 4th 2017. 24 projects have been selected and ranked according to the criteria gathered into the Terms (https://ca.goteo.org/call/conjuntament) and according to two categories: 1. social entrepreneurship and 2. Common and collaborative economies. Past 8th of February a communication workshop for the 24 selected projects was held. Advising has been carried out with the promoters in order to help them to prepare their crowdfunding campaigns. This will continue during the campaign and post-campaign. What is the impact of the matchfunding call Conjuntament? 67 projects have been submitted, where 24 of these were selected. These projects need a total of € 192,543 as a minimum budget of crowdfunding and € 321,419 as a optimal. The Goteo Foundation, in collaboration with the Barcelona City Council and Barcelona Activa, created a matchfunding pool of € 94,000 available for the projects (€ 4,000 per project) to meet their budgets. Goteo is a civic crowdfunding platform for initiatives with a high social impact on cultural, technological and educational projects. Through this social and commons approach, Goteo designes tools, such as matchfunding, which allows public and private institutions supporting and promoting social projects by multiplying the amount of donations they receive from citizens. Goteo is also a community of communities made up of more than 120,000 people, with a success rate of more than 75%. However, it is much more than that. Behind the platform there is a non-profit foundation (with the consequent fiscal advantages for donors in Spain) and a multidisciplinary team developing tools and services for co-creation and collective financing. With a common mission always linked to the principles of transparency, progress and improvement of society. Its philosophy of open source and free licenses resulted in copies and alliances in several countries, as well as is has been recognized and awarded internationally since 2011. At first glance, Goteo is a platform for civic crowdfunding and collaboration on citizen initiatives and social, cultural, technological and educational projects. Goteo has replicas and alliances in several countries, thanks to its open source code as well as the awards and international recognition it has gathered since 2011. 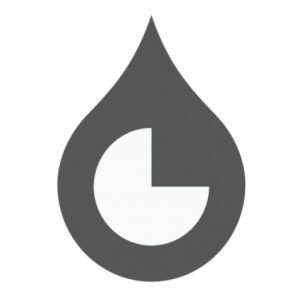 It is a tool for generating resources ‘drop by drop’ for a community of communities consisting of over 65,000 people, with a funding success rate over 70%.But in reality, Goteo is so much more. There is a non-profit foundation (with consequent tax advantages for donors) behind the platform, and a multidisciplinary team developing tools and services for co-creation and collective funding. Our commons mission is tightly linked to principles of transparency, progress and societal improvement.